Fairbanks, to be precise, officially located on the banks of the Chena River in the middle of nowhere. Flying in from Seattle (a four hour flight in itself) under bright sunshine at 11pm, our plane swooped down low over miles and miles of tundra, gurgling rivers and slopes where snow clings on even in mid summer. From May to late July there is never darkness here. In winter, on the other hand, there is only about three hours of daylight. I ask several local people at what point in February it just gets too cold for them to go outside and they all look at me as if I'm a bit mad. They just wrap up and get on with life. "Hmmmm, minus 70" one eventually concedes in the Golden Eagle saloon, but with the right clothes, and trucks plugged into the mains to stop engines freezing up overnight, there is really not much that halts Alaskans. Car number plates here have the logo 'The Last Frontier' on them, and it does seem to ring true of wilderness Alaska. 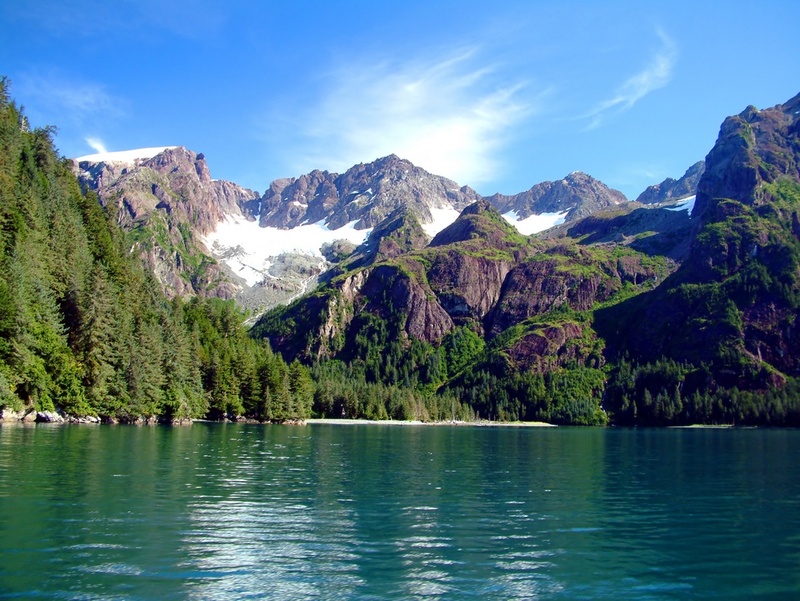 Anchorage, the state's largest city, is a seven hour drive to the south. 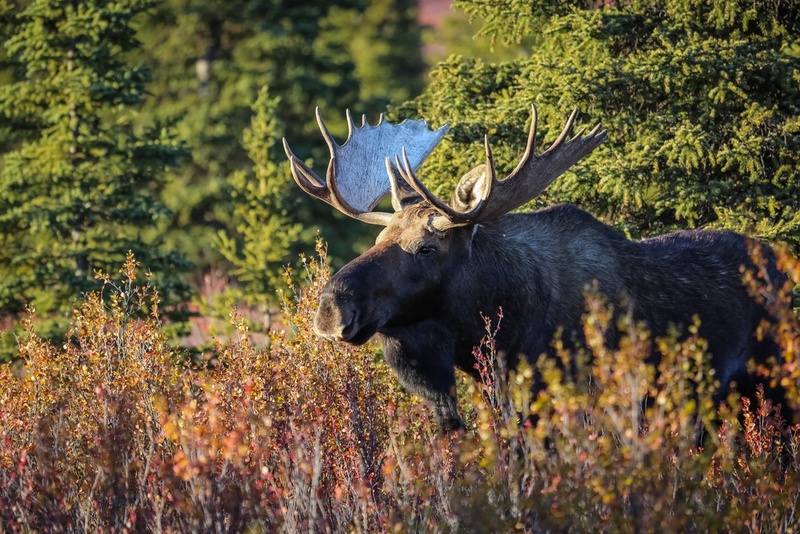 To the north is permafrost, the Arctic Circle and open space filled with moose, caribou, wolves and Grizzly Bears. 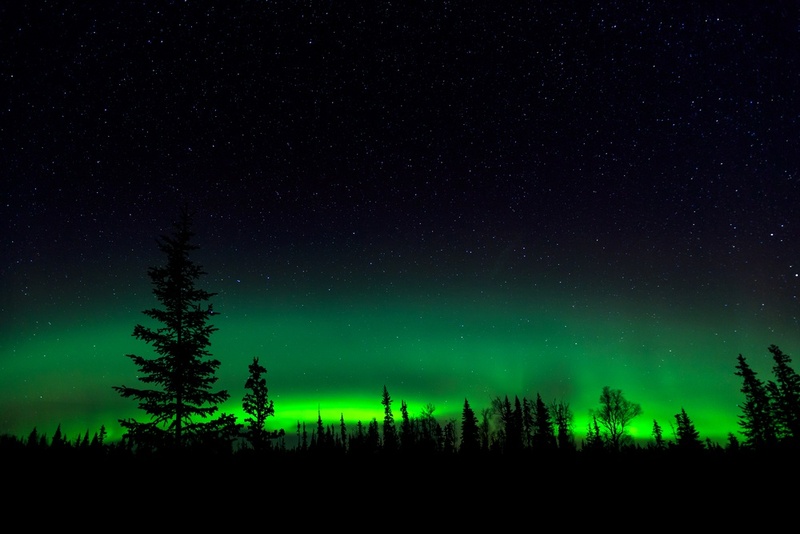 It's that wilderness, of course, that draws visitors here, especially in winter, when the Aurora Borealis, or Northern Lights, are more visible in the night sky. Charter flights bring in holidaymakers directly from Sri Lanka, Japan and Taiwan to go dog mushing; and to sit in hot tubs and stare up at the sky in the hope of seeing the heavens erupt into stunning displays of light. Native Alaskans believe that the Northern Lights are their ancestors dancing, and they will dance back for them. Some believe whistling will bring their forefathers to them, while others that doing that will scare the lights away. Native Alaskans come together every July in Fairbanks for the World Eskimo Olympic Games, with events that celebrate their heritage and culture, and visitors are very welcome to watch. The blanket toss, for example, sees around 50 men around a blanket of old seal skins. They hurl a man or woman as high as possible. In olden times, this was used by hunters to try and spot caribou or seals in the distance, because there were no trees to climb up for a look. Other games, such as ear wrestling, were just easy to play in confined spaces on long winter nights and also taught people to withstand the effects of frostbite - have a look on YouTube, it is as painful as it sounds. 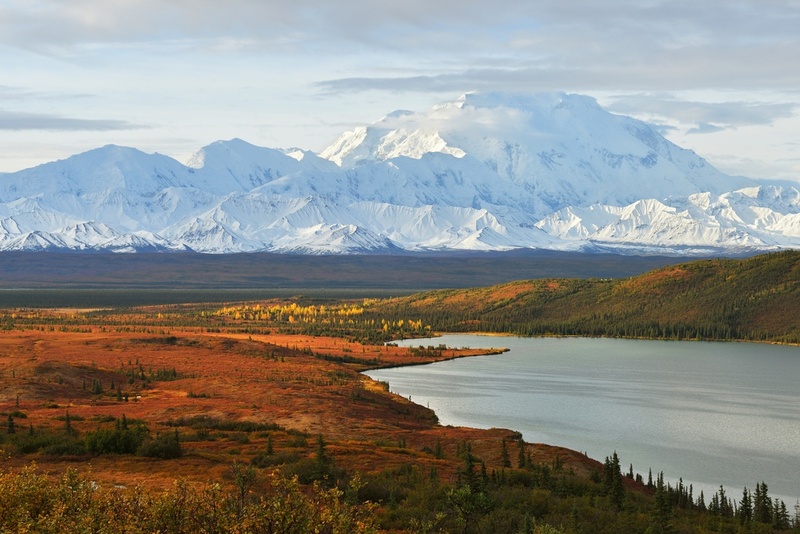 In summer, people also come for the hiking, and particularly to the magnificent Denali National Park. 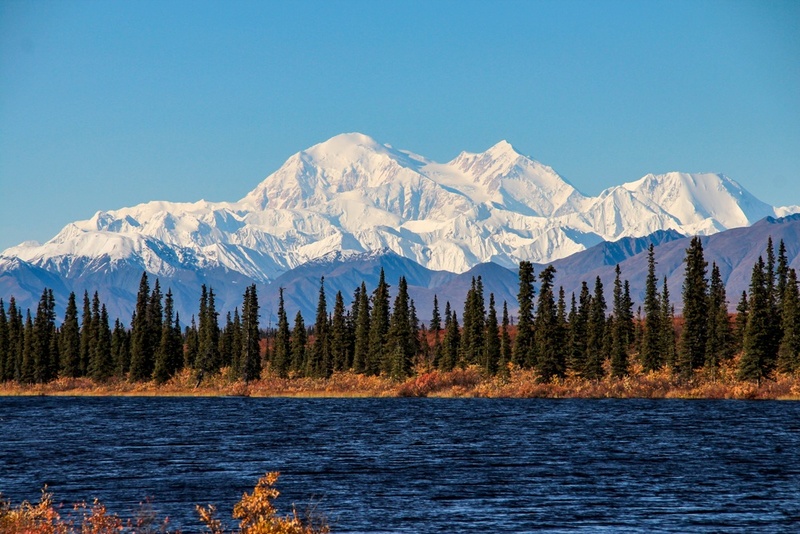 Denali itself (formerly Mt McInley) is 20,237ft high and mightily and photogenically impressive, although its height creates its own weather patterns which means you can only see it in its entirety 25 per cent of the time. Still, the wildlife viewing opportunities make it worthwhile anyway, and a cloudy sky just adds to the moodiness of your photos. There's a certain otherworldliness to Alaska, and a camaraderie among its inhabitants where Mother Nature is a big part of the act. People are exceptionally friendly and glad you made the effort to come all the way to see them. You might see the Northern Lights, you might not. 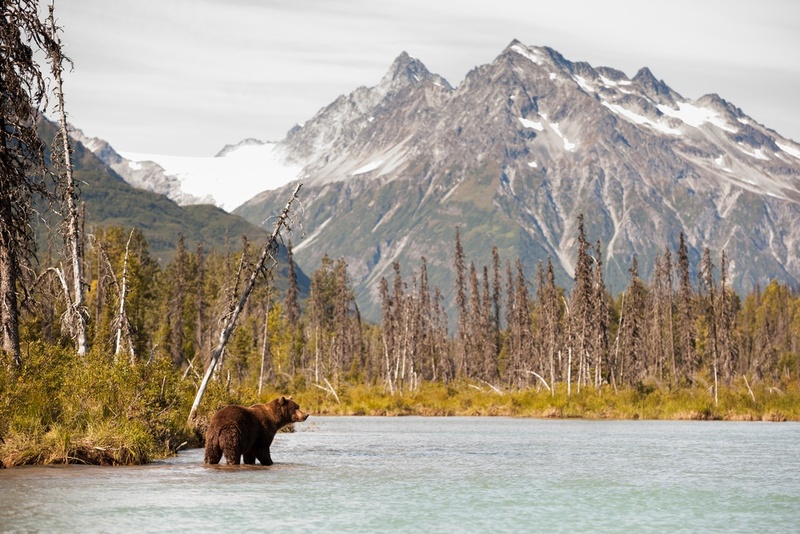 You may see Grizzly Bears and Bowhead Whales, or you may not. One thing for certain, though, is that you will definitely have an amazing holiday. Will Hide is a London-based travel writer who spent 12 years on the travel desk of the Times before turning freelance. He still writes regularly for the Times as well as the FT, Telegraph and numerous magazines. You can follow his travels at Been There, Done It.